Michelle Smith’s experience handling a wide variety of securities and consumer matters has given her the edge needed to handle some of GCG’s most complex administrations. 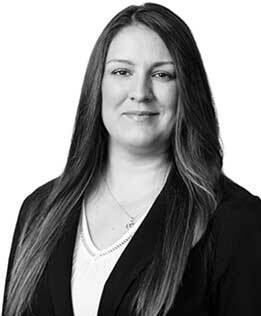 After joining GCG more than 10 years ago, Ms. Smith has held both operations and quality assurance roles, and is frequently called upon to employ her in-depth knowledge of intricate calculations and understanding of the structure of administrations. Michelle Smith’s experience handling a wide variety of securities and consumer matters has given her the edge needed to handle some of GCG’s most complex administrations. After joining GCG more than 10 years ago, Ms. Smith has held both operations and quality assurance roles, and is frequently called upon to employ her in-depth knowledge of intricate calculations and understanding of the structure of administrations. Notably, she has handled the $1 billion Tremont Fund Distribution Account multiple fund calculation and distribution. Some other recent cases she has handled include the distribution of the $452 million Lehman Brothers Equity/Debt Securities Litigation distribution, and the $75 million Tremont Securities Law, State Law and Insurance Litigation calculation and distribution. Additionally, Ms. Smith has helped train teams of legal, medical and other professionals by overseeing many of GCG’s routine mailings and performing other audits and reviews to ensure consistent handling of GCG’s standard protocols. Prior to joining GCG, Ms. Smith handled the preparation of tax returns for a small CPA firm.